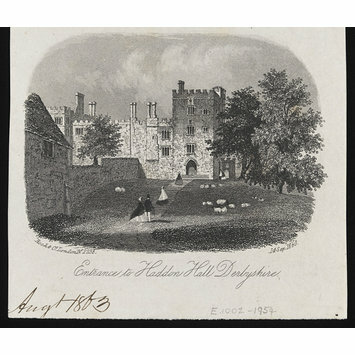 Letter-heading with a view of the entrance to Haddon Hall. At the centre of the scene is a square tower, the entrance to the house. In the foreground is a man and woman. Some of the prints in this set are mounted in an album with other topographical engravings. 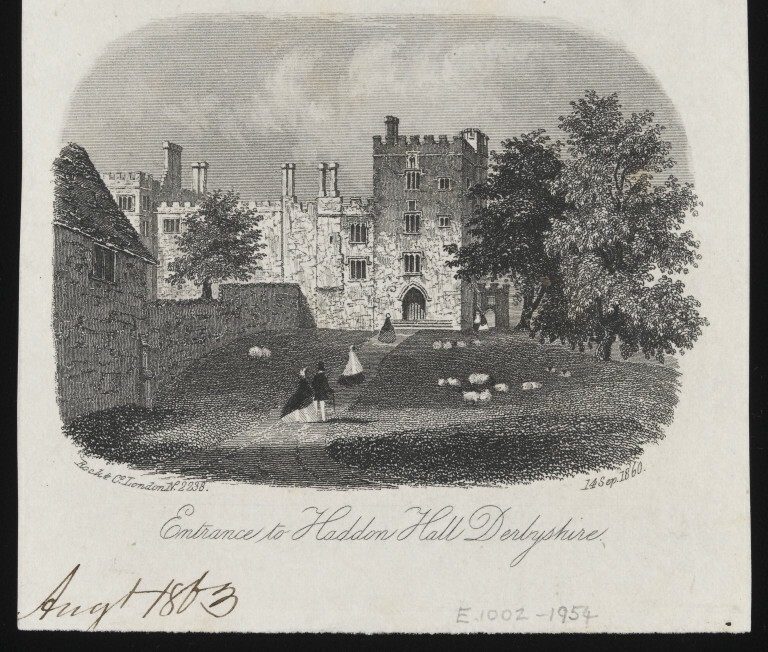 Letter-heading with a view of the entrace to Haddon Hall, Derbyshire, from a set of 407 of English and Welsh topography, English, 1860.